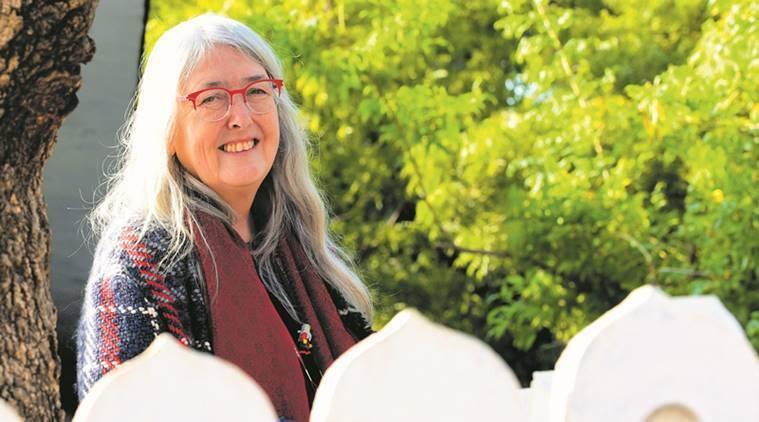 British scholar and classicist Mary Beard, 64, on the role of an academic in political debates, her apprehensions about the #MeToo movement and why historians can’t own the past. For me, exploring that boundary between fact and fiction and getting people more sensitised to it, getting them to be able to enjoy the fiction of history while also understanding what its ideological role is, is important. You mentioned at one of your sessions here at the Zee Jaipur Literature Festival that academic and popular history are symbiotic. I was wondering if that is not without its risks. What are the chances of fiction being passed off as fact? We seem to have a lot of that happening across the world. If you start to investigate how we have drawn the boundary between fiction and fact, it’s always been problematic. What we teach kids in school that facts are on one side and fiction on the other is very misleading. You see that even now in quite academic biographies. They are very happy to tell you what their character is thinking when they haven’t a clue. Now is that fact or is it fiction? Then you have got the fuzzy area of fake news in between. I think academic professionals, hardheaded historians really do have a role, which is to say that in no way do we want to restrict discussions on the past to people who have got history degrees. In fact, historians are very keen that people should talk about the past. They can’t control it and they can’t own it. It doesn’t belong to them. If the far right wants to take over Roman history for ideas of white supremacy, I can deplore it, I can say why I think it’s wrong, but I can’t say it’s mine, you are not allowed to speak here. So, for me, exploring that boundary between fact and fiction and getting people more sensitised to it, getting them to be able to enjoy the fiction of history while also understanding what its ideological role is, is important. That’s where professional and popular historians have got a big job to do. What are your thoughts on academic freedom? Does it come with boundaries? The idea is, is free speech absolute? It’s very easy to say as a slogan and a cliché, that yes, of course it is. And then you say, so what are the boundaries? I was talking to someone about this only the other day – a fiction writer. I was saying, look, we all defend free speech, what if we had a play on in London that was racist, anti-Semetic and had (Joseph) Goebbels as hero. Do we feel comfortable with that? She was very uncompromising, and said, yes, because it’s bound to be a bad play. There’s a very strong logic in that but are we quite so certain that it doesn’t get an audience? And that is precisely the tricky area. This is a very academic concept but I think the most you can do is make people aware that those issues are ambivalent. The fact that we don’t easily agree doesn’t mean that we have to be at war with each other. These are things that are very hard, and rightly hard, to agree upon. What people are allowed to say is one of the big issues that every political culture has always faced. We are not new in facing this.We need to examine it, talk about it outside some kind of echo chamber. I think sometimes you just have to say, I am terribly sorry, but that is not true. Is that the role of the academic then in a political debate? At one level, they contribute as citizens. The division between professional politicians and the electorate, I think, is a very damaging one — the idea that the electorate has somehow been reduced to people who just vote. The whole point about democracy is not just encompassing the idea of the democratic vote — we value that wildly, of course — but it’s also the fostering of an electorate who have the information and access to the information in order to exercise the vote responsibly. I don’t mean by that I am going down the Platonic route to say that only clever people should vote. Education is partly, not entirely, the education of a citizen voting body. What is that one absolute thing that the past teaches us? That things are always more complicated than we think. And when you are in the middle of things it’s easy to take sides – and I take sides as much as anybody else, that’s how we are, that’s how change happens – and yet, you want people to have this double vision, which is both engagement and also an ability to think about the context of their own decisions, whether it’s about Brexit or racism or whatever. You want people to be able to stand outside of themselves at the same time as feeling passionately. Now, we don’t want to teach everybody in the world to be frightfully academic and say everything is so complicated and nuanced, we can’t do anything. Revolution and change didn’t happen that way. It happened because people got outraged and thought things very strongly. You actually need the two. In Britain, people have a very keen desire to imprison people for hate speech. Do I want a hate speech to take place? No, I don’t. What do I say the end result of this is? We have locked them up, now what? When he comes out, is he going to think differently? Probably not. So, if we really strongly believe there are some basic principles that are being flouted, whether it is sexism, racism, what are we going to do which goes beyond punishing these people who break these rules? Then you think, hey hang on, why do they do it and how are they ever going to think differently? And then you go back to Foucalt and say, so this is the thought police, is it? Because some of those guys would say, you can lock me up but you can’t change what I think. That is a powerful liberal perspective. You have to look at the complexity. Can this complexity be captured in social media debates? You engage in a lot of those. Yes, but often online is not the best medium of doing it because it very clearly polarises people. Either you are with me on this or you are not. It would be naïve to think that one day nuance would happen on Twitter. But you do want to say to people that there is a culture of moral certainty and moral certainty is much easier to have in your comfortable sitting room and on your laptop than it is when you are there. I think I can debate with almost anyone, but I find moral certainty so distasteful. Actually, people who are showing moral certainty are often people I agree with. So, I agree with what they are being certain about but I dislike the certainty with which they express it. Speaking of the right to disagree, you had a social media fallout with your Cambridge colleague Priyamvada Gopal last year over your comments on the Oxfam Haiti scandal. Did you ever meet up afterwards to discuss your positions? I offered, we had it set up and then she cancelled. I said any time you want to meet, I am open, but she didn’t seem interested. Do you ever consider yourself to be a feminist heroine? I have been very lucky to have had a platform to say a few things that I have been thinking about. I was slightly surprised that it hit a chord with people, that a lot of women and also men identified with it. I was trying to speak to intelligent people who hadn’t read feminist theory. It’s what a lot of people were looking for to put these issues to an intellectual context. No one spoke to them outside what appeared to be a very closed context. I think feminist theory is amazing, people like Judith Butler have done heaps for us, but there are other ways of intelligently talking about this, which is not embedded within this theoretical perspective, although obviously a beneficiary of it in some sense. I was surprised that it meant so much to so many people. Who have been your feminist icons? I suppose Germaine (Greer) in some ways. You are either a Kate Millet girl or a Germaine girl and it depended on which you read first. In my teens, I read Germaine first. I had read Simon de Beauvoir before, but that seemed frightfully French. And I hadn’t read anybody talking to me like that. Germaine did a huge amount, particularly for women of my generation. In Women and Power: A Manifesto (Hachette India), you talk about a woman’s right to be wrong. Why do you think that’s crucial? Men have just somehow been given the right whereas we have to claim it. Women in public life are crucified for being wrong all the time. I feel like saying that look, we might disagree and I might be wrong on some things, every body is, but one thing I am not is stupid. Men do not get charged with anything like this with the same intensity, or with the idea that they are stupid when they make mistakes. Can the bro code be countered with a sisterhood? This is really very hard. It’s easy to say we should give heft to each other. I think it’s also another burden put on women. Do men get asked to hold other men up? No, they don’t. They are slightly praised for zooming up the tree whereas women are supposed to look after other women. I have been brought up with that, and, of course, I think that, but, sometimes, standing outside myself, I think, well, this is not quite equal, is it? The difficulty is how you think we might do things differently so that women did have the agency. What kind of model of political life do we have to give women agency. Would you say your apprehensions about the #MeToo movement came to pass? Things won’t ever go back to what they were before, but whether there would be major change rather than a sense of a different sort of consciousness about it, that is too early to tell. My prediction is that we’ll see a lot of acquittals in court because everything will turn out to be too long ago, people can’t really remember; there’s a lot of money going into defence and so on, and, unless, in some place like Hollywood, you see that women have power in the structures of the film industry, then that’s not going to work.